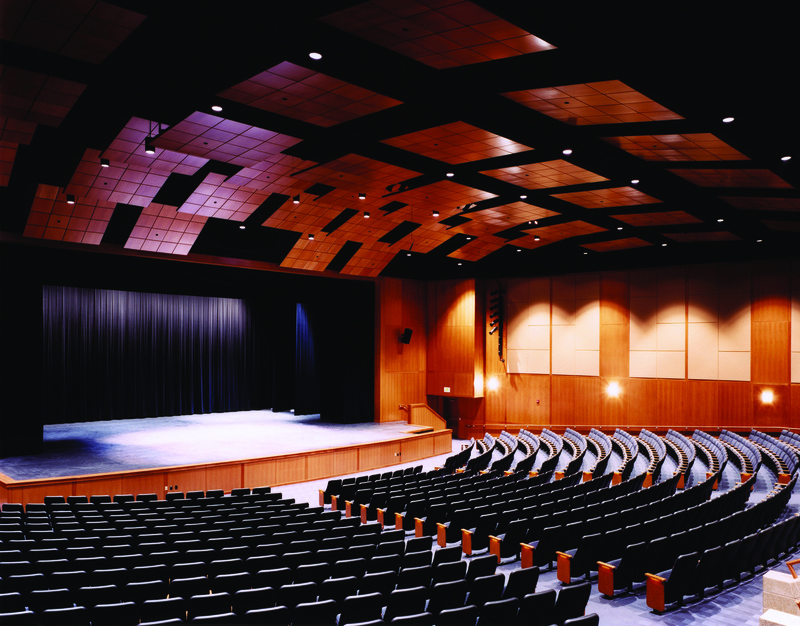 The 750-seat theater is comprised of multi-purpose components that are capable of hosting an assortment of fine arts options. With its full-size, full-fly stage, state-of-the-art lighting and sound systems, full orchestra pit and phenomenal acoustics, the Hamilton Fine Arts Center is classified with other fine facilities that host complex and ambitious shows. Make-up lights adorn the fully equipped dressing rooms and a prop shop allows for creation, assembling and painting of scenery. The Hamilton Fine Arts Center Lobby is architecturally stunning; a work of art in itself. Dressed in stone, rich woodwork and gleaming windows, the lobby is perfect for social functions, business meetings, teambuilding, pre-function gatherings, fundraisers and more! Your rental includes the use of 10 black tables and up to 100 blue upholstered chairs. Your event coordinator can assist you with catering options to fit your needs. Please note, this district property does not allow alcohol or tobacco use. Option #1: Lobby and stage, only. The HFAC is not available for rent on Sunday and holidays, unless approved by Hamilton School District Administration. When approved, Sundays are invoiced at $309.38 per hour. The HFAC is not available for rent on Sunday and holidays, unless approved by Hamilton School District Administration. Platforms, 4′ x 8′ $25 per day, each. Little Theatre $98 per day plus custodial costs.